Writing code can be challenging when you have different and conflicting demands on your time. How do you focus on your code without exhausting yourself? You can try the Pomodoro Productivity technique. 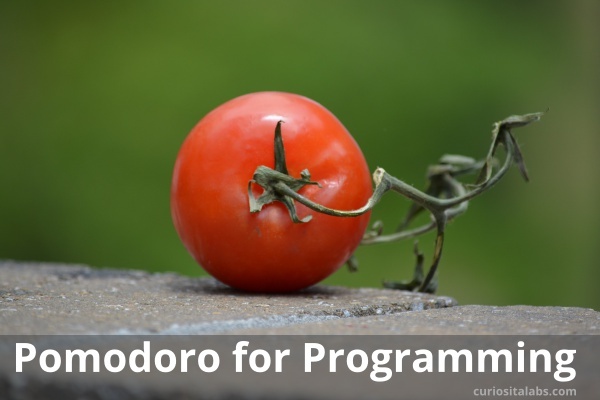 Pomodoro is where you focus on a task like a coding problem for 25 minutes. Then, you take a 5 minute break. After the break, you start another 25 minute round. Break. Repeat. After about 4 rounds, you take an even longer break (20 or 30 minutes). This technique was invented by Fransesco Cirillo. He called it Pomodoro because he used a kitchen timer in the shape of a tomato. Pomodoro is Italian for tomato. You plan to focus on one programming task or problem at a time. Work for 25 minutes or longer. Some people like to use 45 minutes instead of 25. After you have worked for the planned time, take a break. When you are writing code, it can be hard to watch the clock and take a break on time. You can use a kitchen timer or apps on your phone or computer. Or you can build your own Pomodoro Timer. With productivity hack, no one technique fits all. You may need to experiment or tweak before you can get it to work for you. If you work in an office, you can’t stop all of your interruptions. By explaining this technique to your boss and coworkers, they will understand that you are using it to limit your distractions and that they can talk with you when they need to. Alex Mitgusky wrote about how he uses the Pomodoro technique as a programmer. Programming can be fun and challenging. Writing good code even more so. At times, we can be confused looking at code that we just wrote or code we wrote several months ago. 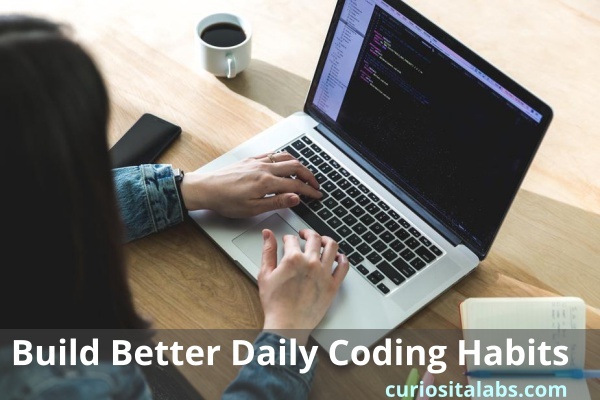 We can write better code by incorporating these four coding habits. Learning new things can help you elevate boredom. Yes, sometimes programming can get boring. You can fix that by trying out a new tool, technique or programming language. As technology and programming constantly changes, you may be wanting to learn the latest language that everyone is talking about. Try to learn one language at a time. By focusing on a single language, you can learn how to use it and when. Read about programming and technology. Don’t get your information from only blogs and online magazines. Read books. Books can teach more than a blog post can. Also, read code. Not code included in tutorials but actual published code. By reading the code you copied from Stackoverflow or downloaded from Github, you can learn new ways of writing and organizing your code. The best way to learn a new programming language or framework is to build something with it. You can start with a tutorial or a throwaway project. Throwaway projects help you learn new skills while creating something new. These projects are for experimenting and learning you don’t publish them. Share with others what you have learned. Write a blog post on the things that you learned from your experimental project. If you don’t like writing, create a video on YouTube or talk at a Meetup. By sharing what you have learned, you may can new insights on what you had created. Keeping up with new technology can be a full-time job by itself. To keep your programming skills fresh, you should set aside time to learn new things, read about programming and technology, create your own programming experiments and share with others what you have learned. Looking for more habits to help make you a better programmer? Sonny Recio describes the habits he uses to be a better software engineer.